The talented young artiste wears Wagner Juwelen Design on the Wiener Staatsoper stage during her appearance in “Pop meets Opera”. 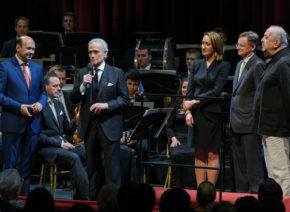 The concert matinee at the Wiener Staatsoper, in cooperation with ORF and ESC 2015, took place on Sunday 17 May 2015. The event was presented live by Barbara Rett. 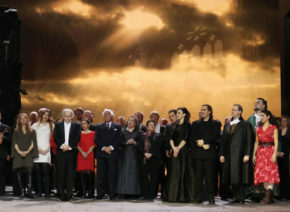 Several nations were represented at this special matinee hosted by Wiener Staatsoper. Opera stars such as Juan Diego Flórez, together with members of the ensemble and musicians of the Wiener Staatsoper, as well as candidates from ESC 2015, built bridges between genres and various musical cultures in “Pop meets Opera”. José Carreras in the title role of "El Juez" or "The Judge". 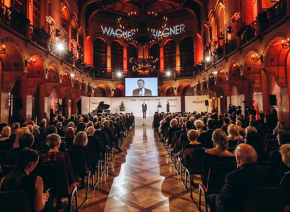 The hundredth anniversary of Juwelier Wagner was cause for festive celebrations. 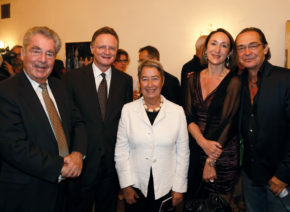 The star tenor has received the Vienna State Opera ring of honour. The conductor Adam Fischer was awarded honorary membership of the Wiener Staatsoper.